Native to the tropics, coconut is used to make several nutritious foods and beverages. Dehydrated, shredded coconut makes for a healthy addition to your diet, because it helps maintain healthy tissue and fights disease. It is a complete food rich in calories, vitamins, and minerals. Good source of vitamins A and E.
Contains polyphenols and phytosterols, all work together to decrease the levels of LDL (low level lipoprotein) cholesterol. Can be eaten as a snack. 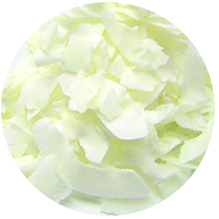 Coconut can be grated thinly or thickly. Can be used to sprinkle over various curries, vegetable dishes, beverage or in salad. Can be used to make sweet preparations.